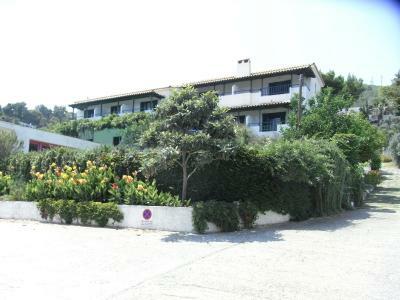 Lock in a great price for Nefi (Adult Friendly) – rated 9.1 by recent guests! The owner is very friendly, kind, and available. The place boasts a gorgeous, sprawling view of the coast. The nearby beaches are among the coziest and most beautiful of the island. Highly recommended. Beach is quiet. Good swimming. Accommodation is limited but functional. Staff friendly and helpful. It's an OK place to stay. Bus into town only 5 mins. The location was excellent. 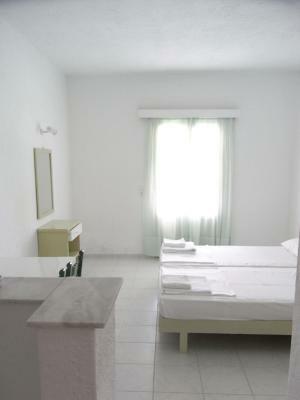 Very clean rooms and the staff was very friendly. 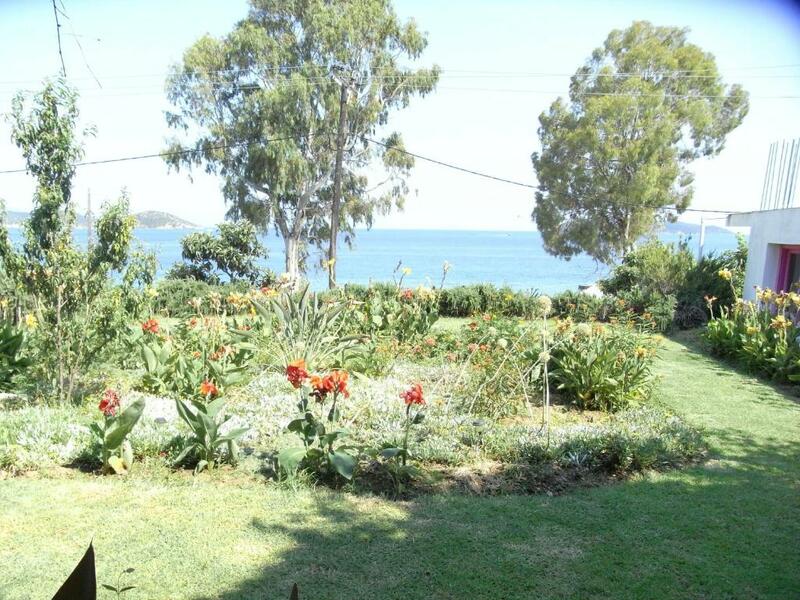 Our room had a fantastic view to the sea. 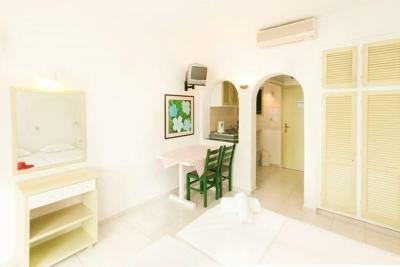 Very clean and with a small kitchen area for preparing breakfast and simple meals. Very friendly staff who helped us a lot with useful information about the island. 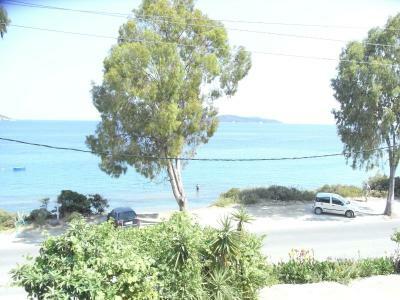 The hotel is very close to a nice beach , a taverna, a bus stop and a small supermarket. 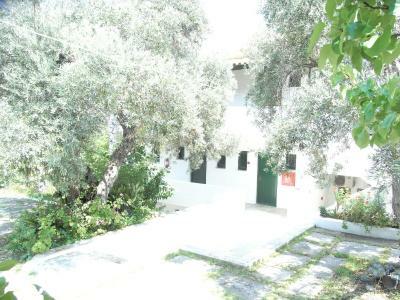 10- 15 minute walk from the centre of Skiathos town, we found the location ideal for our needs. The best possible location. 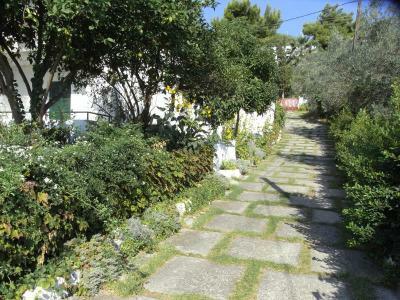 Walking distance to city center (which is a must with Skiathos' poor public transport), and even to the airport, if you're feeling adventurous as we did. Really kind and helpful owners, very clean apartment. Have nothing to complain about. З аеропорту на таксі-15Є. Також працює фірма ,,Дельфін-Скіатос"-це груповий трансфер з попереднім замовлення через інтнрнет(Мерси Спрінтери або Сетри на 50місць)-7Є. Цей готель всі знать.Як що доводилось бувати в операційній (лікарні)- то тут така сама чистота. Я не бачив такої чистоти на відпочинку ніде. Пані Марія з дочкою Анастасією підтримують практично в ідеальному стані всі пиміщення. Можу додати, що така чистота спонукала молодих людей з сусіднього номера, поводитиси себе більш чемно і дисціплінованіше. На території багато квітів, дерева з айвою, інжиром, лімонами і лаймами. Пляж -30 метрів(через дорогу).Ліжак з сіткою(не пластик з матрасом) + парасолька-7Є. За 150 метрів --шикарний атмосферний ресторан з чудовою панорамою на бухту+велитеньськими порціями+дуже ,,ласкавими"цінами(на двох, щоб ледве встати-40-45Є.Без алкоголю) Мінімаркета- три, на відстані 450 метрів. До порта 25-30 хвилин, в залежності, якими вулицями гуляти. Парковка для авто є. Camera vista mare favolosa, sicuramente la più cara, ma la vista alla sera e al mattino era impagabile. Gentilissime la signora Maria e sua figlia, sempre disponibili e sorridenti. La camera veniva pulita tutti i giorni in maniera ottima. La struttura dispone anche di un piccolo parcheggio di fronte le camere. La posizione vicina sia al paese principale sia alle spiagge. 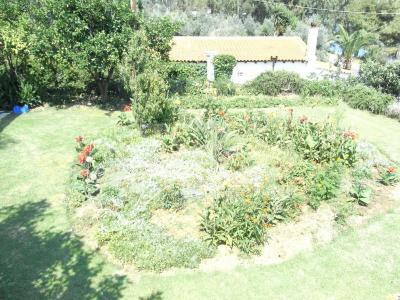 Comodo il parcheggio e funzionale la camera con vista sul mare. Gestita con professionalità. 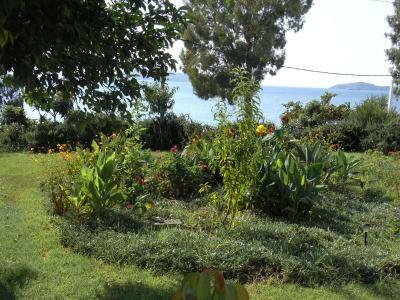 Just 10 metrs from the beach of Megali Ammos, Nefi offers air-conditioned accommodations with Aegean Sea or garden views. A bus stop, taverns and a super market can be found within 650 feet. 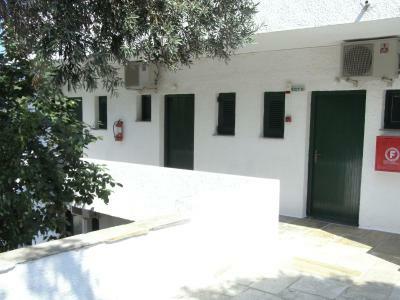 Opening to a balcony, the rooms of Nefi are equipped with a fridge and a kettle. 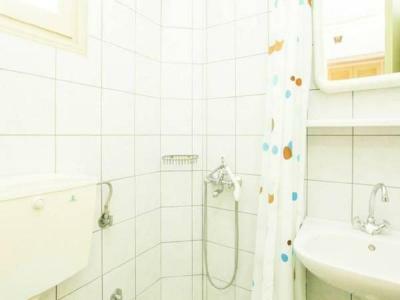 Each unit includes a private bathroom with shower. 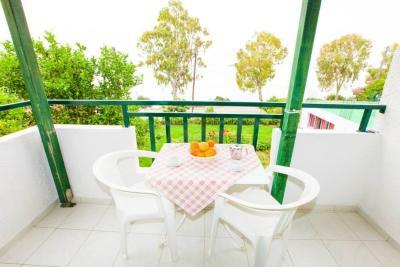 Guests will find sun loungers, umbrellas and beach bars on the nearby beach. 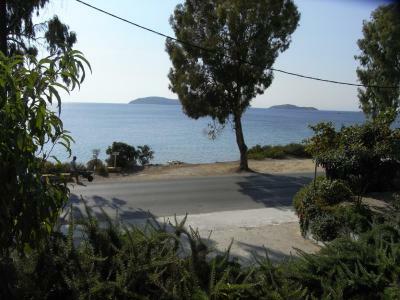 The main town of Skiathos is at a distance of 0.9 mi, while Skiathos Airport is 1.9 mi away. 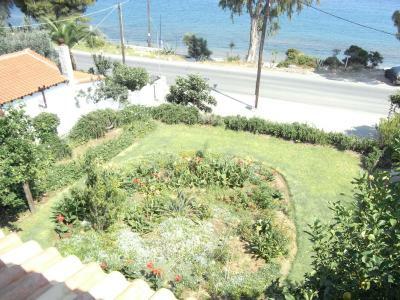 뀐 Located in the top-rated area in Megali Ammos, this property has an excellent location score of 9.2! 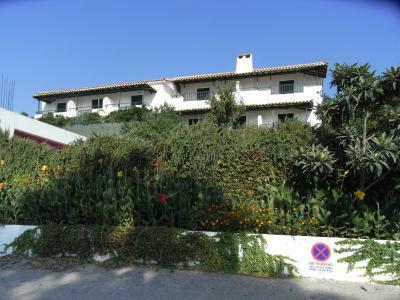 When would you like to stay at Nefi (Adult Friendly)? 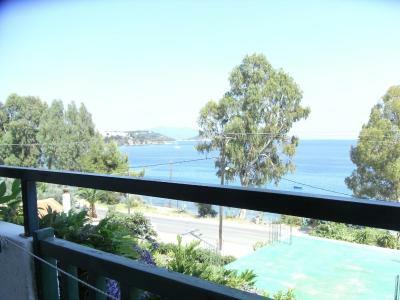 Offering sea views from its balcony, this air-conditioned room comes with a kettle, fridge and private bathroom. 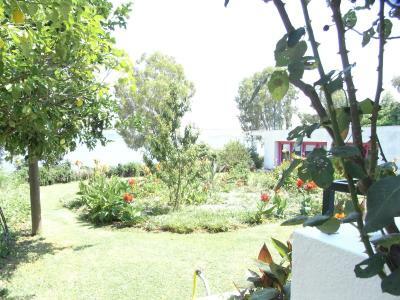 Offering garden views from its balcony, this air-conditioned room comes with a kettle, fridge and private bathroom. 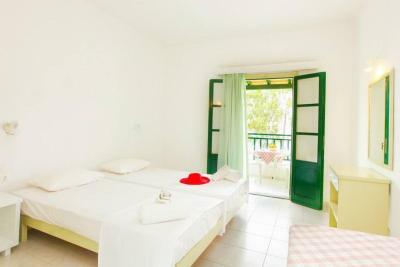 Opening to a balcony with partial sea views, this air-conditioned room comes with a kettle and fridge. The bathroom is stocked with a shower. House Rules Nefi (Adult Friendly) takes special requests – add in the next step! Nefi (Adult Friendly) accepts these cards and reserves the right to temporarily hold an amount prior to arrival. Please note that the property does not provide cleaning service on Sundays. Only one taverna in easy reach. Bus into town always packed at Bus stop 6 but we always managed to squeeze on. Have to cross main road to the beach but usually OK.